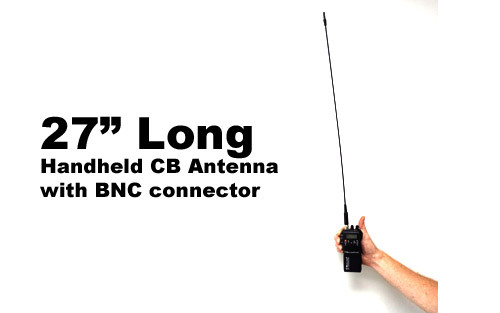 Improve the performance for your handheld CB radio with this 27 inch flexible antenna. 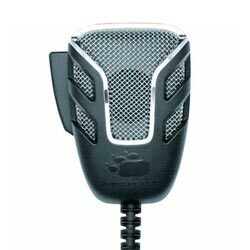 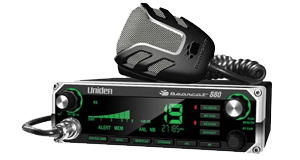 The biggest limitation with handheld CB's is the short antenna they come with, by adding this handheld CB radio antenna, your performance should increase by roughly 100%. 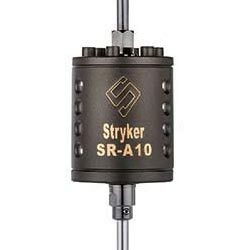 Portable radio antenna includes a BNC connector on the bottom, compatible with all handheld CB brands including Cobra, Midland, Radioshack and others.